A key concept to successful loss prevention from employee theft is to count cigarettes each and every shift. In a recent round of training seminars, the subject of employee theft came up. 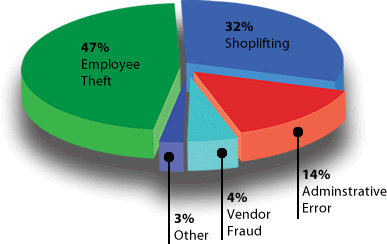 It’s not surprising since employee theft is the #1 problem in a c-store. Smaller items with high retail value, such as cigarettes and tobacco products, are targeted by thieves because they are easy to steal and just as easy to resell. During the seminar the group was asked, “How many people count cigarettes each and every shift?” Eight out of twenty acknowledged performing the count each shift. This was great to hear since a key concept to successful loss prevention from employee theft is to count cigarettes each and every shift. Additionally, conveying a consistent message of expectations, using metrics to measure and monitor results, and setting expectations for improvement are positive ways employers can attack the risk of loss at their stores. 1. The CSR coming on duty arrives 10 minutes early and begins the count. He/she counts by packs each display, rack, etc. Since many retailers have multiple overhead racks, wall rack simply divide them into individual displays (i.e, Display #1, Display#2, etc.) Cigarette cartons should be counted the same way, by cabinet, shelves, etc. 2. At shift change, both CSRs run the POS reports and count the drawer. After the money is dropped, the CSR going off duty re-counts the packs and cartons. The reason to break up the count by rack, display, shelf, etc is to be able to verify any difference in the two counts. 3. As CSRs take a carton out and add it to the pack display have them put the entire empty carton to the side to alert you or the inventory control person to subtract one carton and add 10 packs to inventory. A big hole in this system is that a cashier can always just empty a carton into a plastic bag and your counts will still look correct. So tracking individual packs in addition to cartons will take care of that problem. Your CSRs will hate this chore because they will see the end of free cigarettes coming real soon. Don’t let them talk you out of it. The little overtime, extra wages you pay CSRs to count, will be offset by your reduction of shrink in cigarettes. Additional suggestions to reduce employee theft. Reduce the number of cigarette SKUs you have on hand. 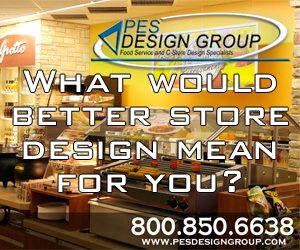 Experts say if you carry 125 SKUs you will be able to cover 90 – 95% of the business. Having a huge amount of cigarettes on hand increases the likelihood of theft. Many tobacco fixtures hold one carton per row. However, if you split a carton between two rows and put only five packs in each row, it still looks full and it will count quicker. Lock up product. If you have a huge amount of cigarettes on hand, take some of the excess and lock them up or take them home for safekeeping. Bring them in as you need them. Another factor retailers need to be cognizant of is the rise of organized professional shoplifting rings that are now going after c-stores. According to the National Retail Federation’s fifth annual Organized Retail Crime Survey, 92% of retailers said they were hit by organized, professional shoplifting gangs and 73% said the problem was growing. Organized criminals are stealing items that can be taken back out and resold on the Internet or elsewhere. The best protection against such external theft is merchandising stores properly, keeping valuable products secure and upgrading surveillance systems. Having policies in place for dealing with shoplifting is also crucial in minimizing loss.